I apologize in advance for the heart dump that is about to happen. Unfortunately, I don't think I would make it through the day if I didn't unload this heart of mine just a little because dang, it has been heavy this week. First of all, I am thankful. Always. I cannot believe that my job is to make monsters. That making monsters buys my kids shoes and swimming lessons and groceries and puts gas in the car. I love my job and look excitedly into the future for where it will take me. Secondly, I love being apart of the handmade community. I love enjoying the good folks that are apart of it and truly GET what handmade is all about. The joy, love and respect those of us who "get" it have for each other is amazing. On a daily basis I get to experience love from fellow artists, sewists and friends all because of the handmade community. We are a pretty awesome "band of sisters" if you ask me. More than once I've gone on a road trip thinking "ok, so and so lives in this area, if I breakdown I know I can call her". True story. THAT is the part of the handmade community that I love. There are also parts that are extremely hurtful to come across. They remind me of those little sucker fish that follow the big sharks around, hoping for a quick free meal. And I found several this week. It's been brought to my attention that there are several shops on Etsy selling hohos as their "OWN UNIQUE CREATIONS". They say that. With words. They are lying liars who lie. And being the emotional creature that I am...it hurts. A lot. Because in the handmade community, I feel like we are all sisters and friends, all part of this special thing, all spurring one another on in creativity and friendship and encouraging our own uniqueness. Having someone copy your work and call it their own is a deep betrayal to me. It comes from people who obviously don't GET the handmade community. It comes from people who think that if you see something on the internet, that means it's up for grabs, fair game, yours to copy and reproduce. It comes from people who think it's OK to duplicate something they have been shown in a photo and then turn around and sell it. They see success and immediately remove the person behind the idea which also removes all of the hard work, passion and heart that goes into it. They are in it for a quick buck or two. 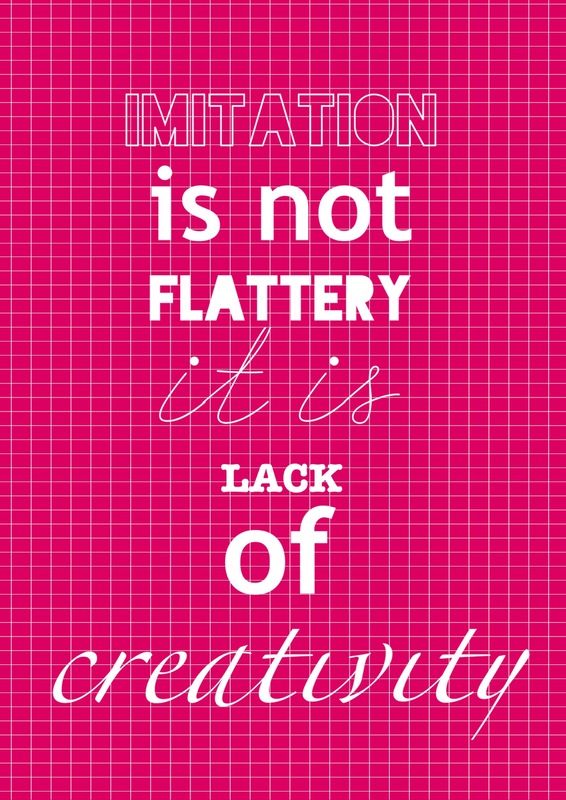 They usually claim to be creative but how much creativity does it take to copy someone else's work? I could go on and on. I have been heartsick all week over these people. In my kindest words, I've emailed them, explaining my situation and begging them to help me protect what is mine (yes it is copyright protected and the patent is soon to come!). Some of them respond with like kindness, apologizing and saying they didn't know and deciding to stand with me to protect a small corner of the handmade integrity. And I love that. They get it. The others. Oh lord, the others. I could write a script for the responses. "I didn't know" usually followed by "I saw them on Pinterest (that makes them up for grabs right?)". The obviously guilty ones return my pleas with deflection, excuses and ugly words but generally in the end say "FINE, I WAS GOING TO STOP ANYWAY". Ok, so it had to be YOUR idea. Whatever. Which makes me come back to...is this how the Lord would have me handle it? Don't get me wrong. I DO NOT think that being a woman of God makes me a doormat. I do NOT think that my responsibility as a lover of Jesus is to hand over what is mine without a fight. If you don't think that God cares about my injustice then you are sadly mistaken. He sees my broken heart. He cares that someone has stolen from me. It pains Him as it does me. I am not expected to be passive because I love the Lord. The end. It's a tricky place to stand. Do I pursue them all and try to save my creations? When would I have time to create (which is as important to me as breathing)? Do I throw my hands up and walk away? Do I be content in the fact that their knock-offs are poorly done and continue on my way to making an obviously better product? Round and round and round I go. WHAT is the right thing to do? What I do know is that I am so grateful for those who GET why this is hard. The folks that say "it's no big deal" or "consider it flattery" or "you put them on the INTERNET what did you expect" obviously don't get my pain. But my sisters in creativity DO. The ones who say "I know it hurts, keep praying" or "I'm so sad for you" or just show that they GET why it is painful...it means the world. What I DO know is that the enemy would like to see me fail. And these teeny, tiny, little bumps in the road are part of his plan to ensure that. Well, to hell with that my friend. For real. I'm about to feisty up. In no small part to my lovely sisters in thread. Who hold a deep place in my heart and treat me as such. I'm going to continue to pray. And continue to create and make the best dern hohos you've ever seen. Come and get me crappy imitators. Come and get me. I would flag their shops, but then that's just me. your creativity speaks for itself! I don't see people lining up to get the knock offs! you go girl! I am so sorry you are having to experience this. I am pretty sure each creative person and artist experiences this, and we can truly relate. Until someone has poured themselves into something then another person cannot understand the heartbreak that comes to see it stolen. And it really makes me sad that the same internet that allows us to build our businesses and connect with so many wonderful people is a place where people can steal and do mean things. Such is this world. Thank goodness this isn't all there is. I hope for resolve in each situation. I hope you will also be able to embrace that you may not see the end in each situation but know the Lord is just. What a tough situation to handle. I don't understand how people can think just because it is on the internet, Pinterest, that it is not someone else's property and therefore up for grabs. That baffles me. It had to come from somewhere, right? Keep after them (with love). Fight for your stuff. You'd fight for your kids, right? This is a product of your hard work, thought process, and trial and errors, yours to fight for. When I make things for my kids and blog about it I always give credit to the person who came up with the pattern that I used. It wasn't my hard work that made up the pattern I used so I give credit where it is due. That would be very discouraging! Feisty up! I follow you on IG and found you online. I am too a doll maker, artist, fellow sister creator. You have been wronged in a major way and praying is the best thing to do about it. I almost want to think in some way maybe this was Gods way of showing you what great work you do, how true your audience is to you and your wonderful HOHOS. You are very blessed to have found a niche and you seem to be successful. Good luck and many blessings. Strong beautiful creative is you. hi. so I've seen your work before & loved it.. and then I saw what started happening on IG and my heart just BROKE in a bajillion pieces because it is so.wrong. so.wrong. and i see it happening so much more and more and I just don't know what to say anymore! doing a craft you see on pinterest is SO different that doing a craft you see on pinterest and SELLING it. sometimes i make bracelets but I dont sell them. What I sell are my purses that I have spent HOURS designing. I created the pattern, I picked out the patterns, I sew them. It is a huge labor of love and it is FROM MY HEART. Also, I just wanted to let you know that one of the sellers that copied you has also copied some other designs. I know that there is no "patent" on purses, but some of her designs have been similar to mine and others. Some people do the handmade thing just for money. They can sew, they can create, and so they pump things out to make some money. The way that you do it is different-- it is a designed, well-thought out CREATION and so much of your blood, sweet and tears and to have someone just take that idea and reproduce it on a whim is wrong. I don't know what else to say except that I am with you and praying for you and telling you that if you keep fighting, I want to be in your corner, cheering you on. I feel so bad for you to have to go through this. I agree with you Stand Up to these imitators and do what must be done. I am not very creative but I NEVER make something unless they give instructions on how to make something, I don't think I could make something by just looking at it anyhow but it would really hurt me too if someone made something I made & they made it of a lesser quality. You don't want people to confuse those cheap knock offs as one of yours. Praying along with you that things turn out for the better. Keep on Keeping on! RISE UP, SISTA! I haven't been crafty lately, but when I do find something on the innernets I make sure to re-post the original tutorial so people know I'm not some thief. Hold your head and heart up high, God knows your intentions are good.